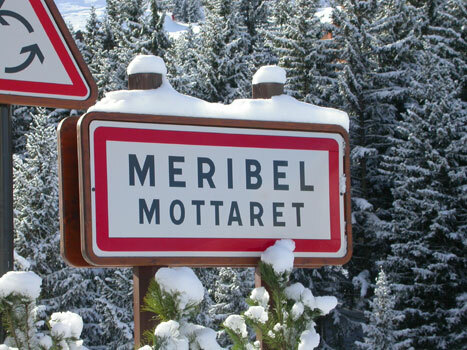 Méribel-Mottaret is the resort area at the top of the Méribel Valley situated between 1700 and 1800m. It has the advantage of a longer season and most properties have direct access to the pistes. Le Chatelet is on the east side of the valley and includes Lac de Tueda which is the entrance to the Vanoise National Park. Le Laitelet is on the west side of the valley and goes from the centre of Mottaret to the Hammeau. Below is a summary of each property in the area you have selected. Click on the property for more details or on 'map view' to see the properties position in the resort on Google Maps. Boasting one of the best positions in the Meribel valley, Olympie III is an extremely spacious and comfortable five bedroom property in Meribel-Mottaret. Luxury five star apartment Mottaret - All prices shown are for 8 people in 4 bedrooms. Tarentaise 7 is luxurious, spacious, beautifully appointed and piste side. Shops, bars and lifts are all within 150 metres. This piste side 3 bedroom apartment comes complete with spectacular views of Mont Vallon from the two South facing balconies. Les Alpages 'The Mountain Pastures' is a chalet-style apartment located in a quiet residential area a few minutes' walk from the pistes, lifts and shops of le Chatelet, Mottaret. Alpages A3 is a well appointed two bedroom apartment with spectacular views of Mount Vallon. This apartment offers ski-to-the-door facilities, being situated just 20 metres from the piste. Shops, bars and lifts are all within 150 metres. This spacious second floor apartment was completely renovated to a very high standard. This apartment is located close to the main piste to Mottaret Centre right in the centre of the Hameau complex making it a popular choice for skiers who wish everything on their doorstep. Les Alpages is a chalet-style apartment located in a quiet residential area just a couple of minutes' walk from the pistes, lifts and shops of le Chatelet, Mottaret. This Nantchu apartment is located right on the piste with fantastic views south towards Mont Vallon. This excellent location has made it a popular choice with our clients.